On July 14 from 9:00 – 4:00, Paige Roth our Regional JOCC, will be conducting the W200 Development Coaches Course: Hands on Training at Scamps Gymnastics in Kenosha. 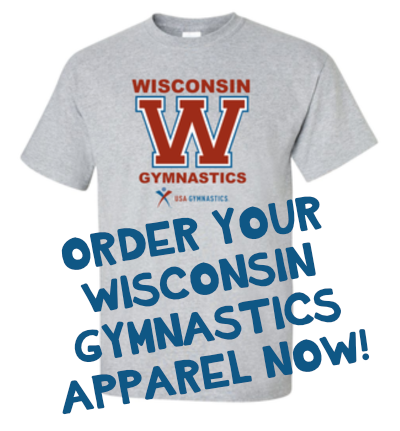 Register through the USA Gymnastics website. Enrollment is limited, so sign up now! 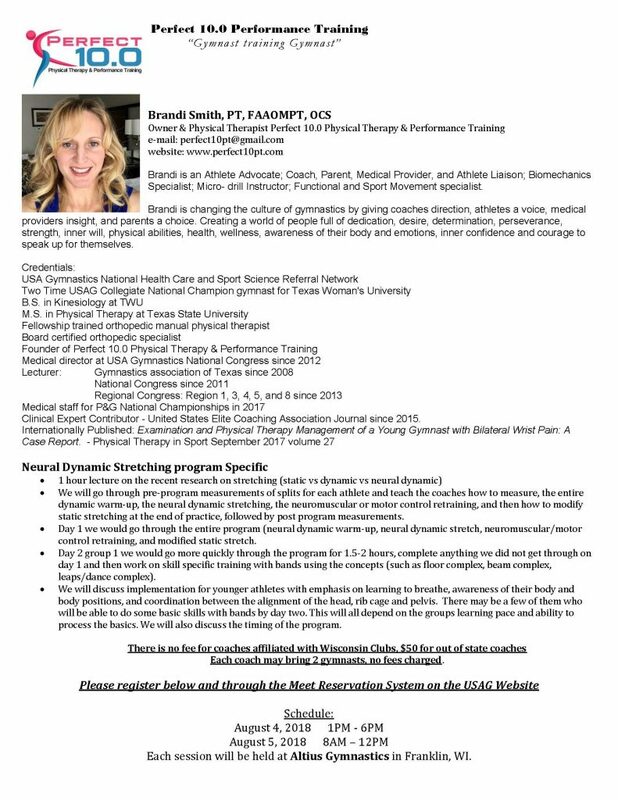 Enhance Sport Performance – Flexibility Clinic With Brandi Smith P.T. Register now… this clinic will be limited to the first 50 athletes! Maximum of 3 per coach and 6 per club. Tiffany coaches under Al Fong & Armine Barutyan-Fong at GAGE and implements their curriculum on a daily basis. Lunch: Not included and there may not be time to leave the facility. Please bring a bag lunch and make sure your athletes bring one as well.